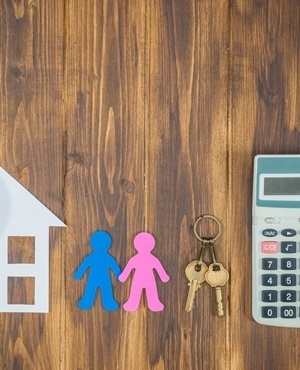 Cape Town - A balance needs to be struck between high returns from rental property and a reliable tenant who pays the rent on time and looks after the property, according to Dexter Leite, Pam Golding Properties' (PGP) rental manager for the Cape region. In his view, the challenge is to set a market-related rental, in relation to the property’s value, that is still accessible to potential tenants. If priced too high, the risk is that the property will stand vacant. A rental increase of about 7% to 10% is fairly standard, dependent on the length of the current lease and the property’s value trend. PGP area manager for Cape Town's Western Seaboard, Emarie Campbell, said rental prices in many areas are falling short of market trends, creating a perilous "rental lag" that could have long-term repercussions for investors and the property market. “Property prices have increased by 75% in Blouberg in the past five years, but we are not seeing the same escalation in our rentals. This needs to be remedied or else we will fall into a trap where these properties no longer yield a realistic return on investment,” explained Campbell. The knock-on effect of disparate rental rates is that tenants are loath to move or buy their own properties, because of the comparative affordability of renting. A two-bedroom Blouberg beachfront property of R2.65m can bring in a rental income of R14 000 a month, or R1 500 a day in-season, for instance. House price inflation in Cape Town for the first quarter of 2017 was 11.8%, according to the Pam Golding Property Index. This is well above the national average of 4.2%. While rentals in many areas may not have kept pace with house prices, there are pockets of strength where rental escalation hit double digit figures of 12% to 14%, according to the TPN rental monitoring survey for the last quarter of 2016. Propstats data shows the rental escalation in the Western Cape as 10.95%, compared with the national increase of 6.87%. Campbell cautions, however, that the Sectional Titles Schemes Management Act, which took effect in October 2016, will make market-related rentals even more critical. In terms of the new act, sectional title schemes are required to establish a reserve fund to cover the costs of future maintenance and repairs to the common property. The act makes provision for three different scenarios for establishing the reserve fund, depending on the financial position of the body corporate. Schemes with insufficient funds in reserve could face hefty levy increases of up to 15% over and above the normal annual levy increases. The requirement to keep and maintain this reserve fund begins from the ensuing financial year after the proclamation of the act and the effects of this provision are, therefore, starting to become more evident. Rental increases should also take this into consideration.